Derwent Apartment01132 579763work Self-cateringMockerin is a tranquil village at the edge of the National Park, an excellent base to explore many different locations in the Lake District and West Coastal resorts. Derwent Apartment is a spacious ground floor apartment which sleeps up to four people all on one level. 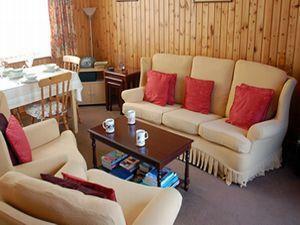 Derwent Apartment is fully equipped with everything which you would need in a self catering holiday apartment. 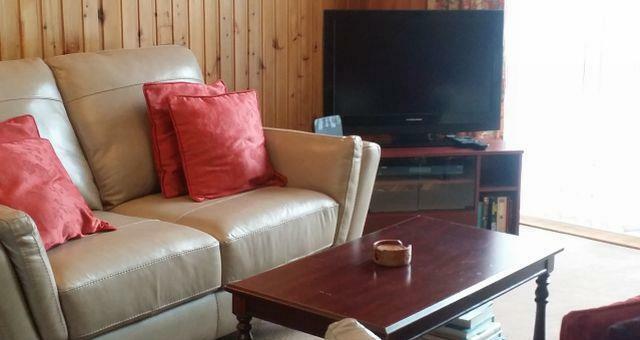 The lounge is complete with: three piece suite, Digital TV, DVD player and Hi-Fi system. Dining table and seating for four. Patio doors lead from the lounge into the outside area. The double bedroom has a ensuite shower room. The twin room has 2 single beds and there is a seperate family bathroom. The modern kitchen has all the facilities and equipment you will need including a washer/dryer..
Loweswater is the nearest lake just 2 miles away while Crummock Water and Buttermere are also a short distance. The beach at St Bees Head is within easy driving distance. Excellent scenery for driving and walking in the area of Ennerdale Water and a short drive away Wastwater where Scafell Pike, Scafell and Great Gable await the more adventurous walkers. Ideal for birdwatching and cycling. The nearest market town is Cockermouth which is 6 miles away with shops, Sainsbury's supermarket, post office, pubs and cafes. Derwent Apartment offers weekly bookings starting on Saturday. Two bedrooms, 1 double with en suite shower room, 1 twin bedroom with bath and shower. Linen, toilet rolls, washing up liquid and fuel included in the price. Derwent offers weekly bookings starting on Saturday. Lovely, comfortable apartment and well equipped. We appreciate your review and aim to keep standards up. Mockerin is a tranquil village at the edge of the National Park, an excellent base to explore many different locations in the Lake District and West Coastal resorts. All bed linen, towels and fuel is provided. Pets are not allowed in this property. Private parking is also available for this property. WiFi access is also available in Derwent Apartment. Leisure centre in Cockermouth, 5 miles. Cycling paths, good walking area, birdwatching and fishing. Children welcome from any age. From M6 jct 36 follow sign A591 Kendal to Keswick. A66 to Cockermouth, left at A5086, approximately 5 miles down road, sign for Mockerkin turn left. Along road, first road marking, turn left past Mockerkin Hall, straight across at crossroads signposted Seasgill. Past 4/5 houses, on right-hand side, sign to Mockerkin Mews, turn right into car park. Right to end house Crauchan, facing, turn right by side of L-shape building, right and right again, door to Derwent.